How You Will Kick Your Fear of the Dentist at Our Practice! Avalon Dental Spa is not your average dental center. Aside from the fact that we provide exceptional services, we call it a “spa” because it’s an experience that leaves you excited to come back. Fear of visiting the dentist afflicts many people, and it’s usually based on bad previous experiences. It’s an irrational fear, but just about everybody has one or two of those — including your friends at Avalon Dental — so we understand. We’ve set ourselves to a challenge: Change the way people think about the dentist by creating a caring environment in which it’s obvious, from the moment you enter the door, that this is a place to relax. When you enter that door, you won’t see sterile white walls, decade-old magazines and a staff of scrub-coated robots. We do wear matching outfits, but the office looks more like your home than a hospital. The waiting area even has a fireplace — a source of many positive comments! When you first come to us, and at subsequent visits if you need to, Dr. Rick will schedule enough time with you to make sure you are comfortable, you understand what Dr. Rick is doing and that you can trust him because you know him. With the care you get at Avalon Dental Spa, you won’t dread your next visit. We are a primary care dental office; we don’t do oral surgery. That’s more complex and we couldn’t give you those services without altering our personal care style. 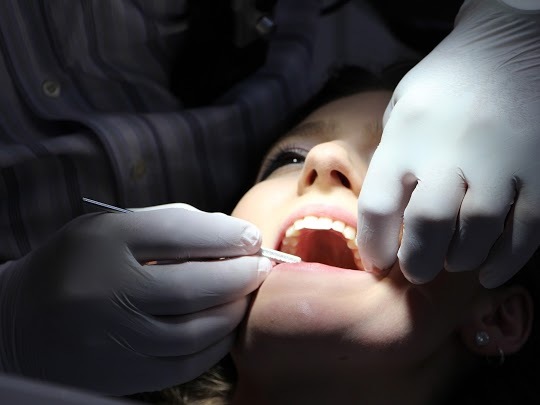 We don’t do sedation dentistry because it doesn’t kick your fear, it simply covers it by rendering you unconscious. We do have nitrous oxide (“laughing gas”) as an option, but we rarely find we need it. We work to change your mind, win you over and relax you by providing the care that you deserve. And, we don’t limit ourselves to filling cavities and correcting overbites. Just for fun, we occasionally set aside the dentistry and invite our friends over. We’ve hosted a spring boutique, a bridal fair, a ladies’ coffee/tea/massage morning, and more. What’s next? Who knows, but you can be sure, it will be fun! Our goal is to serve you in the friendliest way, in a warm-fuzzy atmosphere with spa-like amenities. Our clients keep coming back and bringing their friends, so it looks like we’re succeeding. Come on down and visit our Monticello, Indiana, office — experience for yourself what Avalon Dental Spa is all about. You’ll be impressed.